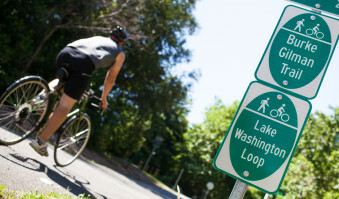 Did you know you can bike all the way from Golden Gardens in Ballard to Marymoor Park in Redmond on protected trails? It’s pretty amazing. Over the course of 30 miles you’ll take in views of the Olympic mountains and Seattle skyline, cruise through dozens of parks, and pass by an array of local, healthy food stops––all while getting a killer workout. If 30 miles sounds like a lot, don’t worry. You can jump on and off the trail at countless spots along the way to design your perfect ride. 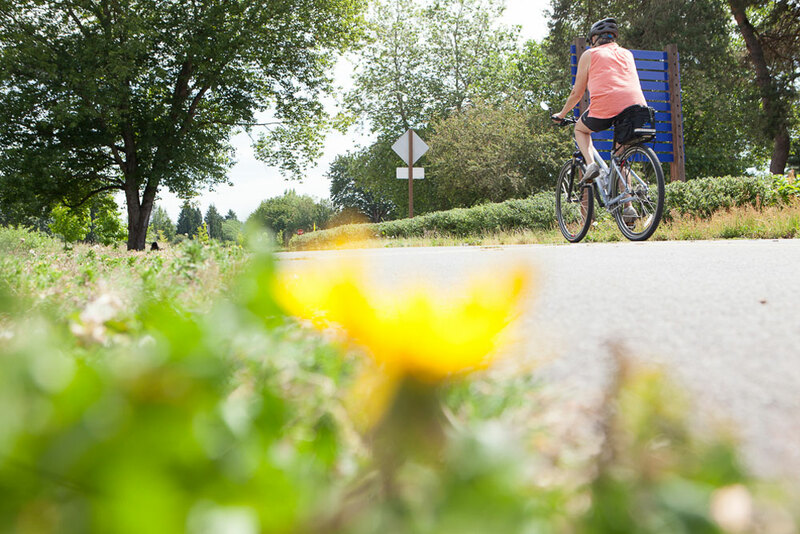 We’ve outlined our favorite stops along the trail to give you the ultimate guide to biking the Burke-Gilman and Sammamish River trails. 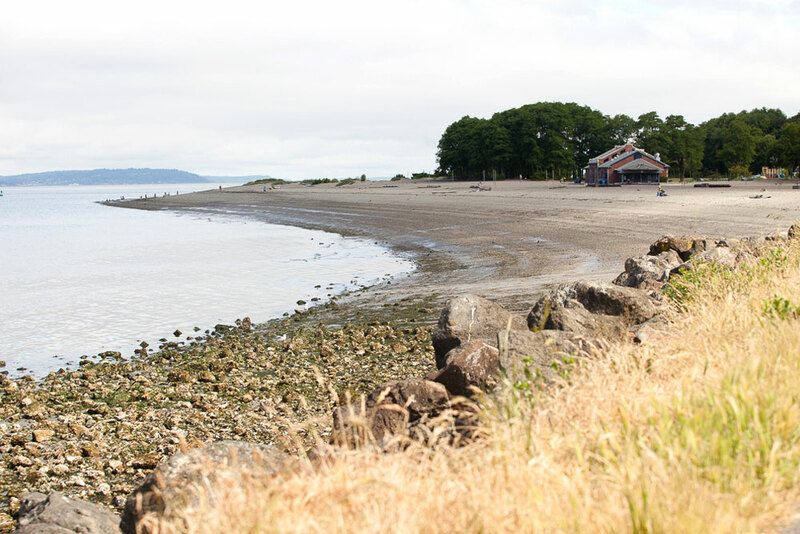 Golden Gardens: The westernmost part of the Burke-Gilman Trail, Golden Gardens Park in Ballard is the perfect end or beginning to your epic bike ride. Enjoy sandy beaches and gorgeous views of the Olympic Mountain range. Ballard Locks (Hiram M. Chittenden Locks): Just over a mile from Garden Gardens are the Ballard Locks—a link between the Puget Sound and the fresh waters of Lake Union and Lake Washington. Park your bike for a few minutes and watch the boats go through. Important traffic note: After the Locks, the trail ends for a few miles. To get back on the trail, make your way down Market Street and take a right on Shilshole Ave. Once you pass under the Ballard Bridge, continue on 45th Street for a few blocks until the trail picks up again next to Fred Meyer. Gasworks Park: Save this park for your return ride. 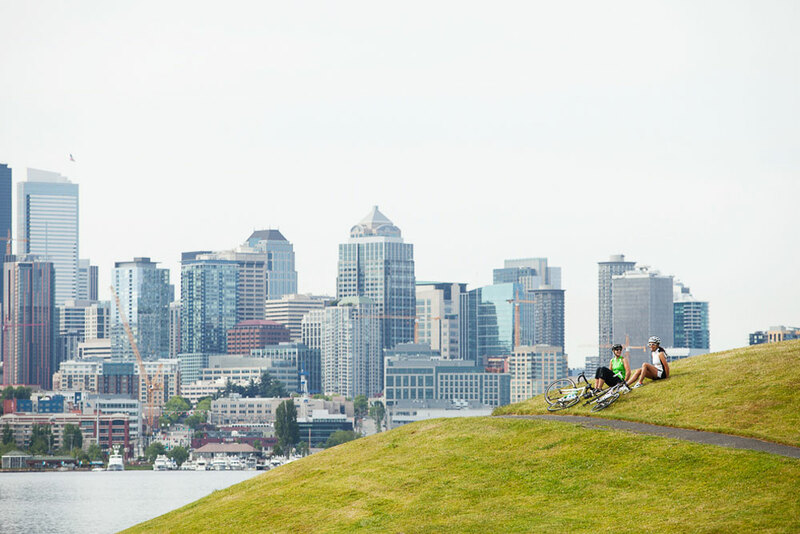 The iconic “kite hill” of Gasworks Park is the perfect place to rest your legs and take in views of the Seattle skyline, float planes and kayakers. University of Washington: This is where the trail gets pretty congested. Take care as you navigate through the University of Washington campus. Important traffic note: There are a couple detours throughout the UW portion of the Burke-Gilman Trail to make way for trail improvements and the new light-rail station. Detours are clearly marked with green signage for cyclists (purple for pedestrians), but we suggest checking out the detour map before you head out. 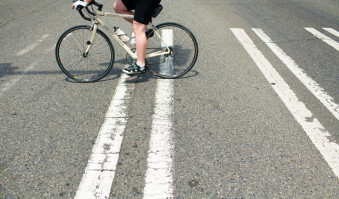 Counterbalance Bicycles: Tires looking flat? 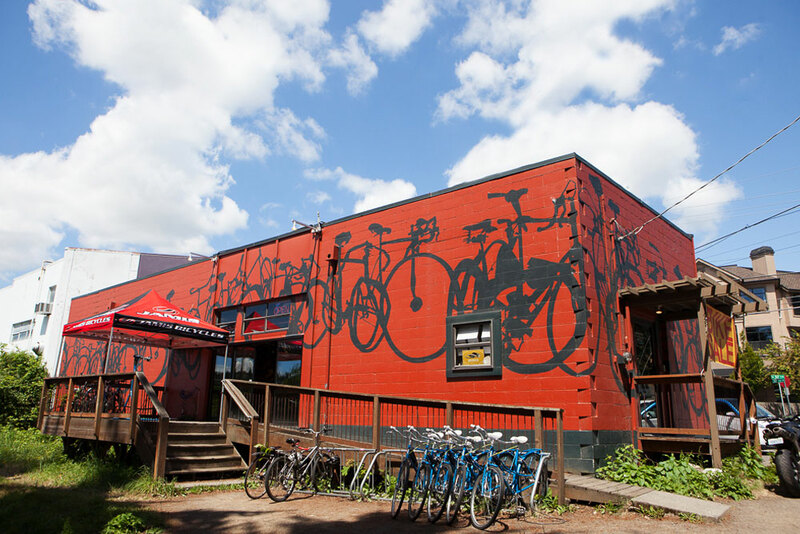 Bordering the trail just past the UW campus you’ll find Counterbalance Bicycles––with free air pumps right outside the storefront. It’s also an awesome option for any bike maintenance you need. Matthews Beach Park: Thirteen miles into the ride, you’ll pass by the entrance to Matthews Beach Park, an excellent spot for a quick swim or a game of Frisbee (or a bathroom break and water refill). 192 Brewing Company: By the time you get to Kenmore, we’re betting you’ve built up an appetite. Right off the trail sits 192 Brewing Company, which has the best outdoor seating around. Grab a drink or order off their lunch menu. Blythe Park: If you’ve made it to Kenmore, don’t stop there! Blythe Park is only a few miles away and well worth the effort. 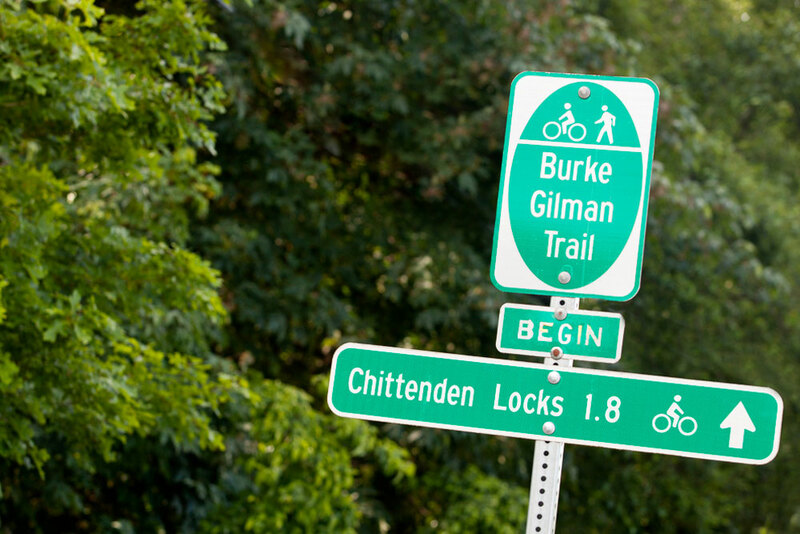 The trail navigates through the park as the Burke-Gilman turns into the Sammamish River Trail. Enjoy the shade and river views before you make the trek to Woodinville. Wilmot Gateway Park: At Wilmot Gateway Park you’ll know you’re almost to the end! Mostly used for a quick bathroom and water break, it also has open green lawns to sunbathe and rest on. Redhook: The most popular end location for most Seattle riders, Redhook will likely be swarming with crowds if you go on a weekend, so plan for a bit of a wait. It’s well worth it, though, especially if you snag an outdoor table. 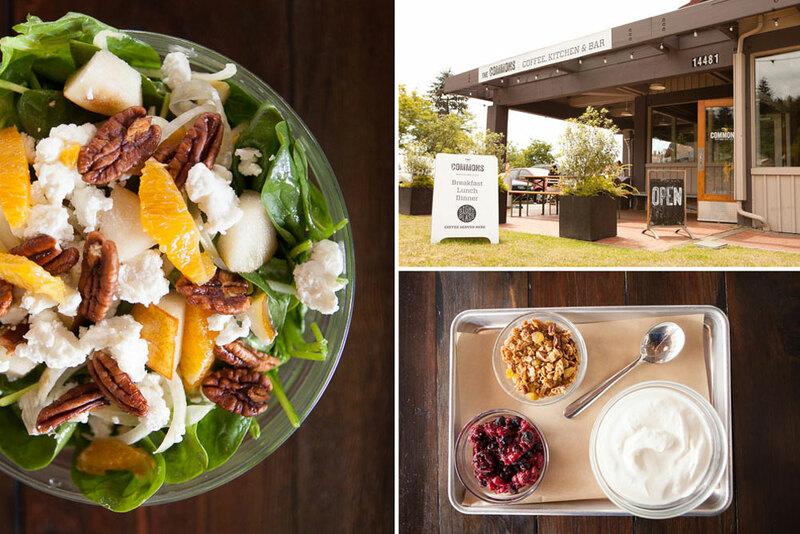 The Commons: For a healthier and more local food stop, head over to The Commons. You’ll find healthy options like broccolini salad or kale Caesar alongside a traditional brunch menu and variety of hearty sandwich options. 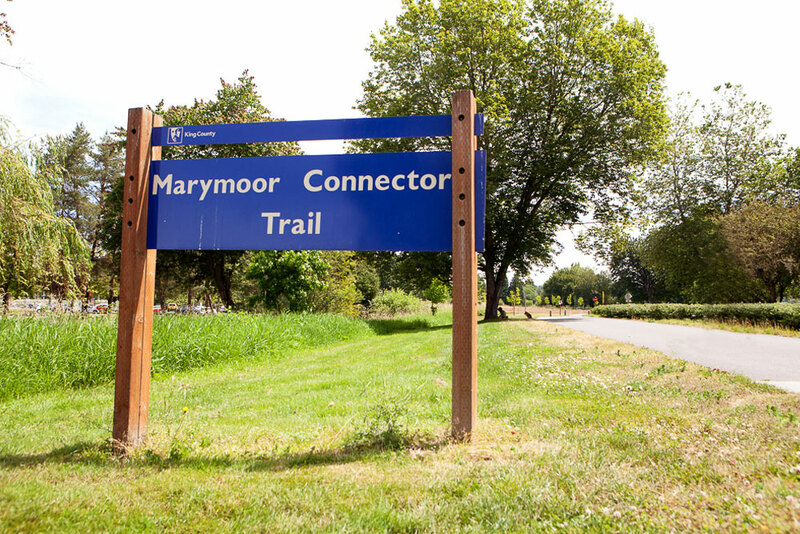 Marymoor Park: You’ve made it! If you started all the way in Ballard, you’ve now biked a full 30 miles. Hang out on the shores of Lake Sammamish and enjoy a well-earned break. If you make your trip on a Wednesday in July or August, you can catch one of the movies in the park! 1. It’s not a race. Keep to the 15 mph speed limit. 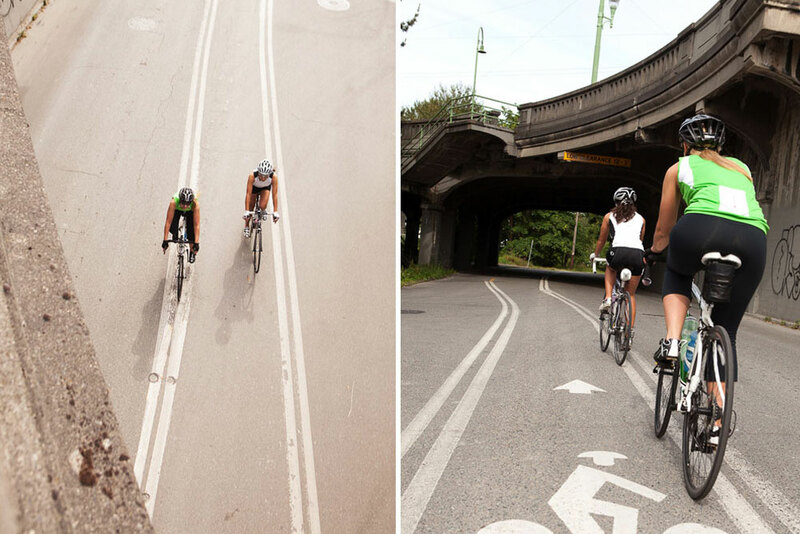 If you’re training for a race or longer ride, the Burke-Gilman isn’t your best option. 2. Pass with care. 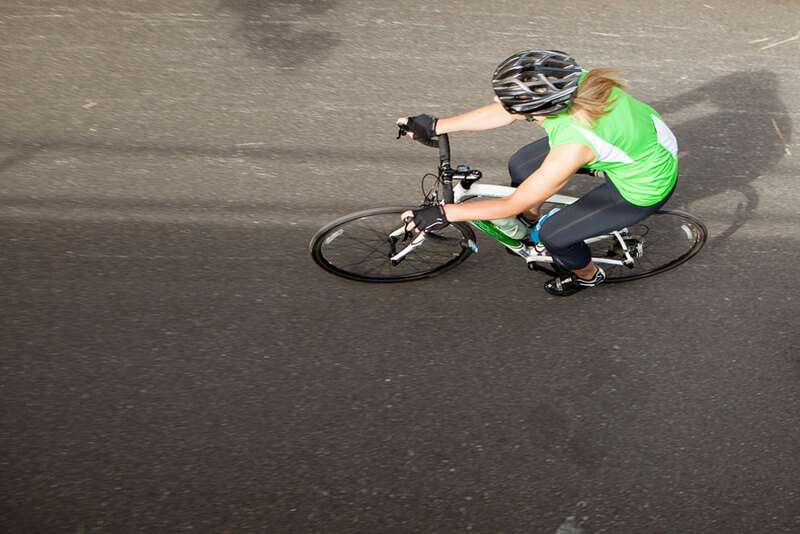 Make sure you pass other riders (and walkers) on the left, and it isn’t rude to make some noise while you’re at it. In fact, it’s considerate. Say “On your left!” or ring a bell to let them know you’re there. 3. Beware of traffic. The trail crosses streets at many points along the route. Make sure to stop and check for traffic before crossing.